You can truly have Job Tracker Professional or any of our software products the way you want them. Call to chat about tailor-made software modifications of interest to you. Getting the most out of Job Tracker Professional. You've just invested in a new computer system to help grow your business. Don't be one of the few that get frustrated and give up. Although Job Tracker Professional is easy to use its still important to use your investment wisely and get properly trained. Our training course takes place in our offices in rural Essex in a relaxed and beautiful environment. The training is aimed at managers, directors and owners, administration staff are of course welcome too. We can accommodate up to 5 people and provide you with a great lunch and refreshments throughout the day. It's not an out of the box solution. 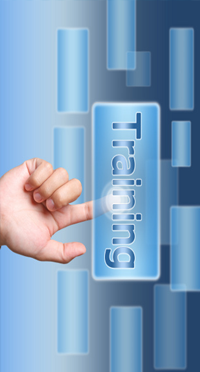 It's a full interactive and dynamic days training driven by your company needs. When you book the course we start with a comprehensive conversation about your business, your needs, your desires and goals. This enables us to provide you with a training day, tailored specifically to get Job Tracker Professional working correctly for your business. The course can include all the various available modules, Job Tracker Professional, Job Tracker Mobile, Direct, Online, and Sage Integration. At the end of the day you will leave with a fully configured system ready to use as well as a wealth of knowledge to help you get the absolute most from Job Tracker Professional. Our training days run from 9:30am until 4:30pm on Tuesdays and Thursdays. For more details and costs drop us a message or call us on 01255 830113 to discuss your options.